The winner wouldn't get much. Out of two raffles, this was the second. First place had already won the grand prize: A giant basket full of summer beach toys. Second place was a big step down: A smaller basket full of coffee and chocolates. In all honesty, I was more excited by the coffee and chocolates and was happy to have lost the first raffle in hopes of winning this one. Not my son though. At six years old, and with memories of every living summer filled by our family beach vacations, Charlie lived for the beach. With his wavy blond hair, you'd think he was born for it too. Fortunately, he didn't understand we'd lost the beach basket raffle. Unfortunately, he also didn't understand that there would only be two winners that day, and the second winner wouldn't be him. "Three!" The raffle organizer called the last number and the crowd sighed, followed by polite (albeit reluctant) clapping for the winner. "Thank you for all your raffle donations," she announced, "Have a great night!" At least one of us wouldn't. Before anyone realized the event was over, Charlie shot out of his seat like a sidewinder missile. "What?" he yelled. "That's it!?" His face turned red with anger and I could see the veins in his neck warming up his voice for the big show. "Only TWO winners? This is the WORST raffle EVER... IN THE HISTORY OF THE WORLD!!!" We weren't in a cavern, but his voice echoed as if we were. The organizer paused to spot our angry child and noticed the embarrassed parents with him (that's us) before scuttling off the stage. I was certain every parent in the place was staring daggers at us, but couldn't bring myself to look up and confirm my suspicion. We threw coats on faster than any parent has put coats on their children, mumbled, "it's time to go, now," and got the hell out. Charlie is a driven kid. And, at that raffle, he didn't care that we had the potential to win if we weren't actually going to. He wanted results. And if he'd had his way, he'd have paid to get them. I was just listening to an interview with Todd Herman on the StoryBrand Podcast where he compared potential with results. In his company, they outlaw the use of the word “potential,” classifying it as an excuse for those who don’t achieve results. 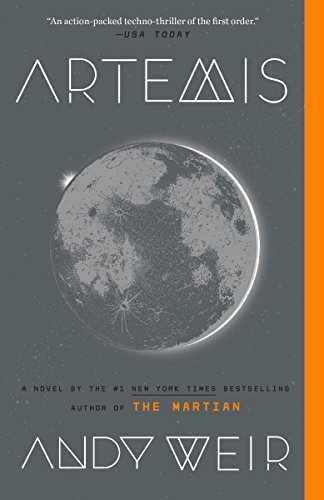 At the same time, I’m reading Artemis by Andy Weir, an extremely fun fiction about Jazz, a character born natively on moon-base Artemis trying to make her way through life in outer space. The book opens with an intense scene where Jazz, who is undergoing training certification to give "outdoor" moon tours, is racing for her life to get back to base before her suit depressurizes and kills her. Despite her incredible calm under pressure, outstanding decision making, and selfless attention to hear team, she fails the test. Her instructor tells Jazz it’s a results based program and she needs to take responsibility for the fact her suit failed to begin with. Sure, she had the potential... but she failed on results. I am not naturally a results-based thinker. I love the journey. I love the experience. If I don't hit the target, it's easy for me to say, "Eh. It was fun anyways..."
The problem with these statements is that they defer ownership. They push the problem somewhere else... in some cases, to someone else. But this is wrong in business. We business owners need results. We need to set and keep and achieve our goals. We need to make progress, even if we struggle along the way. In other words, we don’t need potential. We need to turn potential into action. Then we need to do everything in our power to ensure that action meets or exceeds our goals. So ask yourself, are you driven by potential or results? If you're driven by potential, what can you do to refocus on your goals? What systems can you set in place to take complete and total responsibility for your successes and failures? How can you hold yourself, your team, and your business accountable to your goals and your customers? If you are driven by results, please share in the comments below, what systems do you have in place to learn, grow, and achieve? Mike Mehlberg helps entrepreneurs and business owners develop a clear and focused strategy to stand out in their market, outsmart their competition, and achieve maximum sales impact. Email him at mike@moderndavinci.net to grow your business with purpose and speed.